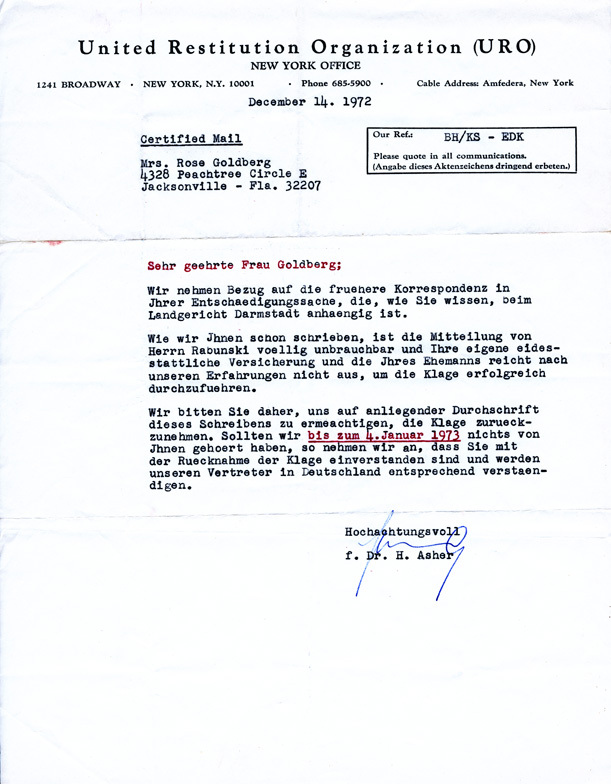 Sent by certified mail to Rose and dated December 14, 1972, this letter is written by an unidentified third person for Dr. H. Ascher of the United Restitution Organization's New York office. It reminds her that the communication from Mr. Rabunsky is "entirely useless" and that in the experience of the URO, the declarations in lieu of oath given by Rose and her husband are not sufficient to ensure a successful legal action. The organization therefore asks Rose to empower it to withdraw the complaint. 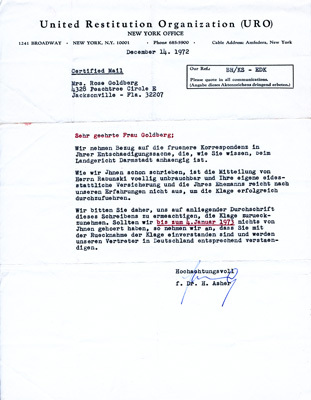 A copy of the letter is enclosed for her signature, and if she does not respond by January 4, 1973, the URO will assume that she has no objection and will instruct its representative in Germany to withdraw the complaint.